Used Mercedes GLE Review - 2015-present | What Car? 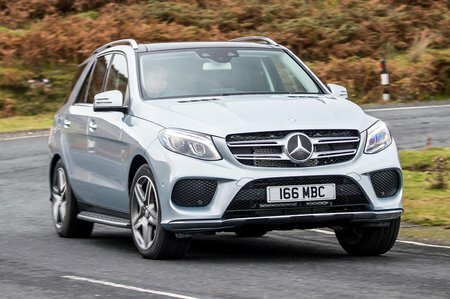 What's the used Mercedes GLE estate like? If you like your SUVs large, plush and imposing, the Mercedes-Benz GLE should be right up your street. From the bluff, chrome-laden nose to the tall, vertical tail end, it’s every bit as you’d imagine a Mercedes SUV to be, and that’s made it a popular choice with buyers. The GLE was not a new car when it arrived on the scene in 2015. In fact, it was a revised version of the third-generation Mercedes M-Class, with tweaks to the styling and the interior, a new nine-speed automatic gearbox and a new plug-in hybrid option. 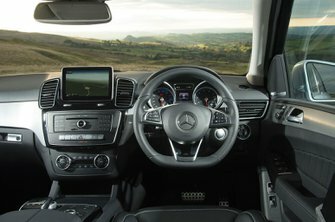 That plug-in hybrid, the GLE 500e, is powered by a combination of a 3.0-litre twin-turbo petrol V6 and an electric motor, giving a combined maximum of 328bhp. However, the rest of the engine range remains largely the same as the M-Class’s, with only minor tweaks to elicit small improvements in fuel economy and emissions. That means the entry-level model is a 2.1-litre, 204bhp four-cylinder diesel badged GLE 250d. Then there’s the GLE 350d, with its 254bhp 3.0-litre V6 diesel, and right at the top of the range sit the thunderous AMG models: the 385bhp GLE 43 and the 577bhp GLE 63. The model range is relatively simple but very well equipped. It kicks off with the Sport version (only available with the 250d engine), which gets sat-nav, heated front seats and climate control as standard. AMG Line models, which are more widely available, add air suspension, as well as sportier styling touches and larger wheels, while Night Edition models add gloss black accents. We’ve only ever driven GLEs fitted with air suspension, so we can’t comment on the steel-sprung models. On the air springs, the GLE feels comfortable enough, if a touch clumsy, floating over larger undulations in a slightly disconcerting way, but also shimmying over smaller bumps and occasionally dropping into kerbside drain covers. True, you can flick the switch to Sport mode, but that takes things to the opposite extreme, firming up the suspension too much. As you might expect, then, handling isn’t its strong suit, either; the GLE always feels heavy, ploughing its nose ahead and leaning over in corners, even in that stiffer suspension mode. The steering is quick enough, but it feels light and somewhat artificial. In short, the GLE is not a car you’ll want to hustle along a back road. Inside, you sit high up, giving you a commanding view, and on first inspection the interior looks smart. However, a couple of shoddy bits of fit and finish spoil the effect, while the labyrinthine infotainment system takes some getting used to. And while there’s plenty of space for four passengers, five will be a squeeze, thanks to a hefty hump in the floor and a narrow middle seat. You also don’t get the option of a third row of seats, ruling the GLE out as a seven-seater – a significant disadvantage compared with the Audi Q7, Land Rover Discovery and Volvo XC90, which all come with seven seats as standard. The one pay-off for this is that the boot is vast – one of the biggest around, in fact.